You find a product that you want to make but you are missing one or more of the ingredients? You live in a country where some ingredients are not readily available? 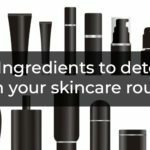 You want to save money by using less expensive ingredients while still retaining the benefits of the product? We often get asked: I love your recipe/formula for X product but I don’t have Y ingredient. What can I use instead? You are starting to look at the product formula and see how you can make adjustments. You are starting to think like a formulator! 1) What is the purpose of the overall product? 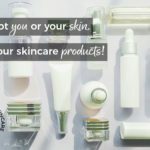 Every skincare product has a specific purpose, a specific thing that it will help with. When you start to think about substituting ingredients you’ll need to decide if you want to stay true to the original purpose of the product or if you want to change it. If you want to stay true then you’ll want to replace ingredients with ones that will offer the same benefit. If you want to create a product with a slightly different purpose then you are free to select ingredients that offer something different. The purpose of the product is______________. Then get specific about the ingredient in question. 2) What is the function of the ingredient in the product? What is its role, what does it do? Is it an emulsifier/ thickener/ preservative/ emollient, etc? You’ll want to substitute like for like. So one emulsifier for another emulsifier, or one emollient for another emollient. The role/function of the ingredient is_____________. 3) What benefit does this ingredient offer? If you want to stay true to the original purpose of the product you’ll want to find something else that offers the same or similar benefit. For example if it is an anti-aging active, you’ll want to replace it with another anti-aging active. If it is an uplifting essential oil then you’ll want to replace it with another uplifting essential oil. If it’s a carrier oil that assists in skin barrier repair then you’ll want to replace it with another that offers this, too. 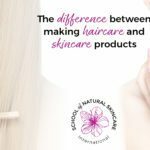 If you want to alter the benefit of the product then you can do that by selecting an ingredient which offers a different benefit. The benefit the ingredient offers is___________. 4) What skin feel does it give? What is its absorption rate? These are useful questions to ask when substituting carrier oil or butters. Some carrier oils have a light feeling on the skin and others a medium or heavier feeling. Some are quickly absorbed, others take longer to be absorbed. If you want to create something similar to the original product then you’ll want to substitute like for like. So one fast absorbing oil for another, for example. If you want to adapt the product and create something a bit different then you could mix it up a bit and substitute an oil for one with a different skin feel or absorption rate. The skin feel/absorption rate of the ingredient is_________. The purpose of the product is____________. The role/function of the ingredient is__________. Therefore other possible ingredients are_________. Can I easily get hold of this? Is it within my price range? Then you can refine your list further. The next step is to practice and experiment! Rewrite the recipe or formula with your chosen substitute ingredient. Consider if you need to alter the amount or percentage it is being used at. For example, if you are replacing a soft butter such as shea butter with a harder butter such as cocoa butter you may want to reduce the amount or percentage that the butter is being used at. 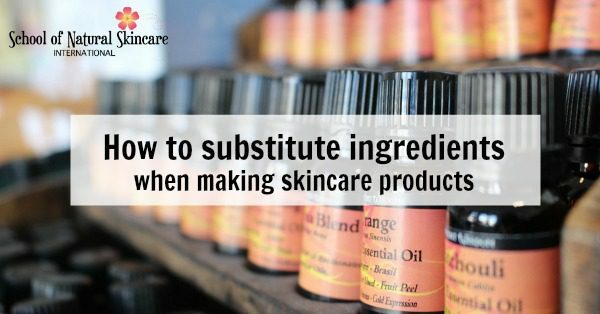 Try making the product with one of your substitute ingredients. Record the results. Are you happy or do you want to try something different? 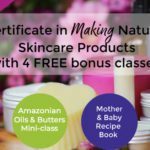 Getting to know the functions, benefits, properties and qualities of ingredients is essential if you want to start making adjustments to recipes and thinking and creating like a formulator.